We handle a broad range of family law and domestic relations issues in Ellis County, with our office conveniently located right in the heart of Waxahachie. Whether you need assistance with a Divorce, Suit Affecting Parent-Child Relationship, Modification, Enforcement, Grandparent Access and Possession, or Adoption and Termination we have a wealth of experience to guide you through the process to make these challenging moments in life a little easier. Browse our site to learn more about the types of cases we handle or give us a call to set up a consultation at (972) 938-8750. In addition to our focus on family law, we also handle a wide variety of traffic cases for both Class C and CDL drivers. Call us at (972) 938-8750 and speak with our traffic legal assistant, Marissa Canafax, or one of our attorneys, to learn more about how we can help you with your traffic ticket. If you need assistance with a speeding ticket, traffic warrant, or other traffic citation in Ellis, Johnson, or Dallas County, please contact us at the number above or send us a message through our website's contact form (click here). 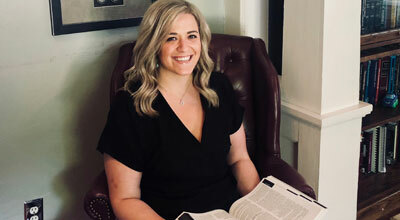 Serving Ellis County for over 10 years in the area of family law, we have represented clients in a wide variety of matters, including divorce, child custody issues, and child support proceedings. To speak with us regarding a family law matter, please call our office or send a message via our contact form (click here). As a former prosecutor, Ms. Lane understands the law, the system, and how prosecutors think. If you have been charged with a felony or misdemeanor crime you need an attorney experienced in criminal defense. We invite you to contact our office either by phone or email us through the website's contact form (click here). Please call or send us a message via our website, and we'll be happy to see how we may assist you. Notice to Website Visitors: The information contained on this website is for informational purposes only. It is not to be considered legal advice and does not create an attorney client-relationship. The law is an ever changing body of information, and you should verify that any information on this website is current. The owner of this website, and/or its content provider, does not warrant in any manner whatsoever that the information contained on this website is current and/or reflects the current status of the law. If you have a legal problem, situation, or question, you should seek legal advice directly from an attorney. Attorney website provided by Law Tavern Websites Copyright © 2007-2017 | All rights reserved.